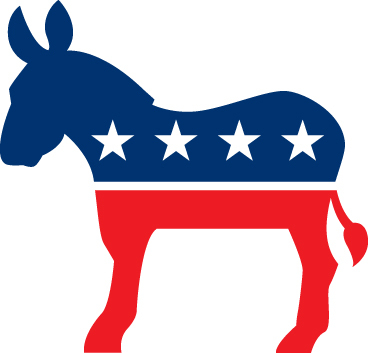 The loss of an election thought to be a sure bet for the Democrats has inevitably led to questions as to the future direction and leadership of the party. The loss by Clinton provides the opportunity for the party to finally break free of the strangling influence of the Clintons. The system which was designed to move the party to the center may have helped Bill Clinton win in 1992, but left the party with a candidate too out of touch to win in the 21st century. The Clintons kept the party in the past ideologically, and the corruption of Bill and Hillary, who used their influence to build their own personal fortunes, made it suicidal for the party to nominate her against a candidate who, although himself very highly flawed, was running against the corrupt system. Democrats need a revived party with a strong leader, as well as a clear message that allows them to stand as the loyal opposition to Trump Republicans. “Any Democratic member of Congress who didn’t wake up this morning ready to fight, resist and obstruct in the way Republicans did against President Obama every day for eight full years must step out of the way and let those of us who know the score lead the way in stopping the meanness and the madness that’s about to begin,” Moore wrote. The progressive populist wing of the Democratic Party, as currently led by Sanders and Warren, has a real opportunity in the coming months to execute a hostile takeover of the Democratic Party, just as Trump took over the Republicans last year. Ben Kamisar has a longer list, with further information on some of the potential candidates for 2020. The more immediate question is over who will lead the Democratic National Committee. Keith Ellison has formally announced his candidacy, with support from Bernie Sanders as well as some party insiders including Harry Reid and Chuck Schumer. It is essential for Democrats to understand how huge a blunder it was to nominate Hillary Clinton, rather than blaming others as Clinton is, in order to avoid making the mistake of running Republican-lite candidates. You can’t blame James Comey for Clinton’s loss without recognizing that this ultimately comes back to show how serious a mistake it was to nominate a candidate who was involved in such a serious scandal. It was like nominating Richard Nixon after the Watergate scandal broke, but many Democrats continue to pretend she has not done anything wrong. Why, oh why, did it have to be Hillary Clinton? Yes, she has an impressive resume; yes, she worked hard on the campaign trail. But she was exactly the wrong candidate for this angry, populist moment. An insider when the country was screaming for an outsider. A technocrat who offered fine-tuning when the country wanted to take a sledgehammer to the machine. She was the Democratic candidate because it was her turn and because a Clinton victory would have moved every Democrat in Washington up a notch. Whether or not she would win was always a secondary matter, something that was taken for granted. Had winning been the party’s number one concern, several more suitable candidates were ready to go. There was Joe Biden, with his powerful plainspoken style, and there was Bernie Sanders, an inspiring and largely scandal-free figure. Each of them would probably have beaten Trump, but neither of them would really have served the interests of the party insiders. And so Democratic leaders made Hillary their candidate even though they knew about her closeness to the banks, her fondness for war, and her unique vulnerability on the trade issue – each of which Trump exploited to the fullest. They chose Hillary even though they knew about her private email server. They chose her even though some of those who studied the Clinton Foundation suspected it was a sketchy proposition. To try to put over such a nominee while screaming that the Republican is a rightwing monster is to court disbelief. If Trump is a fascist, as liberals often said, Democrats should have put in their strongest player to stop him, not a party hack they’d chosen because it was her turn. Choosing her indicated either that Democrats didn’t mean what they said about Trump’s riskiness, that their opportunism took precedence over the country’s well-being, or maybe both. Democrats need to understand that, and they need to move past a complacency for which the Clintons bear considerable blame. It’s hard to overestimate the couple’s stranglehold on the party — its think tanks, its operatives, its donors — for the last two decades. Most top Democrats had vested interests in the Clintons, and energy that went into supporting and defending them didn’t go into fresh ideas and fresh faces, who were shut out as the party cleared the decks anew for Hillary in 2016. In thrall to the Clintons, Democrats ignored the copious, glaring signs of an electorate hankering for something new and different and instead took a next-in-line approach that stopped working awhile back. Just ask Mitt Romney and John McCain and John Kerry and Al Gore and Bob Dole. They’re the five major-party nominees before her who lost, and each was someone who, like her, was more due than dazzling. While he is right that nominating Clinton was a mistake, he still failed to understand the mood of the electorate, seeing Joe Biden as opposed to Bernie Sanders, as the best choice for the Democrats. While Biden would also have done better than Clinton, he was still not the ideal candidate for a change election. Posted in Bernie Sanders, Bill Clinton, Donald Trump, Elizabeth Warren, Hillary Clinton, Joe Biden, Op-eds, Politics. Tags: Bernie Sanders, Bill Clinton, Chuck Schumer, Cory Booker, Donald Trump, Elizabeth Warren, Hillary Clinton, Joe Biden, Scandals, Tim Kaine. RSS feed for comments on this post.. TrackBack URL. Staying with the Democratic Party, will accomplish nothing; leaving the Democratic Party, will be more effective. There is no incentive to change if you stay, plenty of incentive to get you back if you leave. Turn the screw, put the pressure on. DNC, "Can you hear me now?" 'Still 'n' all', as you say 'over there', at least unborn babies now have a glimmer of hope! There is the danger that the Republicans will further infringe upon the rights of women to control their own bodies, but unless he has enough Supreme Court picks it is unlikely that Row v. Wade will be overturned. Even then it is unclear if the Supreme Court would overturn such a longstanding decision. Plus many in the GOP would prefer that it not be overturned as that would make abortion a key issue in many states, risking that they lose control of state governments they now hold. Republicans have always preferred to dangle the issue to attract the religious right. It is more likely that we will see more restrictions making abortions harder to obtain, but I also think that would have happened if Clinton was elected. I agree that it would seem unlikely, and/or political suicide for Republicans to try to pass a law in direct conflict with Roe in an attempt to get the courts to overturn the previous decision. However, other entities other than politicians have been known to "generate" a case that could make its way up the chain. Candidly I'm not sure how they would do that, but their are people more imaginative than I that might try to pull it off. While I personally don't like fighting about the issue, if the Supreme Court were to seek and accept such a case, then overturn it. I would be terrified, not that I'm so invested into pro-choice, but rather that I would see it as a SCOTUS that was out to impose a "moral code" on everyone and I would assume it wouldn't stop with just that law. The question is whether they would accept such a case and overturn such a long standing decision. We won’t know for sure until someone tries to bring such a case to them. There is no party registration in my state so there is no way to leave the party other than how I vote on election day. This year I voted straight Green. What I do in the next election will depend upon how much reform there is in the Democratic Party and the candidates they run. I don't presume that just because you voted for Jill Stein that you can read her mind. But I will ask anyway, why do you think she is talking about spending millions of dollars on a recount? On the surface it would seem some kind of extreme long shot at helping Hillary. If she wanted to help Hillary, why did Stein even run for president? I really can't see any upside for spending money like that, but it would not surprise me if I am missing some kind of angle on this issue. I’m not sure what she is doing. The fact that she ran doesn’t necessarily mean that she doesn’t prefer Clinton over Trump, given a choice limited to those two. Maybe she is also hoping that there will be more Green Party votes found which would not change the result but could help them. (These are rough ballpark figures, but both Johnson and Stein have roughly three times as many votes as four years ago). Maybe it is purely a publicity stunt to keep her name in the news. There really isn’t a downside to spending the money if it is all money people are contributing for this. Wouldn't it be ironic that if P.T. Barnum style, some scandal over recount donations gave her the national name recognition that she sorely lacked. Trump seems to be epitome of the concept that bad publicity is good publicity. I don’t think that headline means much. It only makes sense that she could not “guarantee” the money would be used for a recount as there was the risk that she would not raise enough or there might be some other legal obstacles. It now is looking like the recounts will proceed in Wisconsin and Michigan. It is more difficult to have the recount under Pennsylvania law. It looks like she is still trying, but there is no guarantee that the courts win Pennsylvania will allow it. Of course MSN never liked her candidacy so it is not surprising that they would try to spin this in an unfavorable matter. I agree, and also a flimsy little news story on msn is not much in and of itself. I was only speculating that if in the future, she somehow got charged or at least investigated for possible misuse of funds, that might bring her more publicity than all her prior efforts like trying to get arrested for vandalism. I was digging around and found a report that four years ago she got cuffed for trying to get into the presidential debates in 2012. I don't want to make too big of an assumption. Who knows, maybe she just likes handcuffs.